Darkness Light is proud to announce Klaus Geisel as new band member. 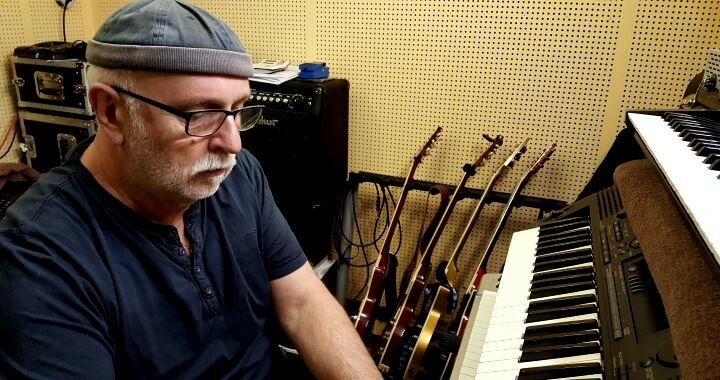 Klaus plays keyboards since 1970 and has previously played with the Augsburg’s well know bands “Shotguns” (1972 – 2006) and “Maddox” (2007 – 2016). He produced the album “Call of the Blue” (2007) and together with Wolfgang Hefele, Karlheinz Hornung, Florian Mayer the album „S.O.N.G.S.“(2015). His favorite instruments are Hammond M 100 with 760 Pro Leslie, Fender Piano, JX 10 P Synthesizer and the Yamaha MOX 6 Synthesizer.